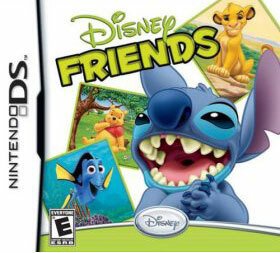 Disney Friends, a new virtual life simulator and adventure game shall be made available to Nintendo DS, it was announced by Disney Interactive Studio. The game shall be available across all North American retail store. Through this fresh interactive simulation game players shall be able to get up close and personal with their favorite and most loved Disney characters. Characters belonging to popular Disney films like Disney/Pixar’s Finding Nemo, Lilo & Stitch, Winnie the Pooh and The Lion King all feature in this game. Craig Relyea, senior VP, global marketing, Disney Interactive Studios said that players get the chance to interact and also befriend these hugely popular Disney characters and undertake novel adventures. In addition to that players also get to learn the virtues of nurturing and caring for friends. The Nintendo DS microphone and touch screen enables players to become a part of this virtual world, there voice recognition features as well which allow controlling of a character’s actions and mannerisms. Points earned are in the form of ‘pins’ & ‘gold’ which can be traded to feed or buy clothing for one’s friends so as to keep them happy. There is a real time clock in the game thus permitting players to play in night or day mode. With the help of the in-game camera players can capture screen shots of any memorable or special moment while being hooked to the game. Developed by Amaze Entertainment and published by Disney Interactive Studios, Disney Friends is rated ‘E’ for Everyone.